For over 20 years, we’ve been crafting unique creations for offices, events and corporate spaces. We find such joy in designing and creating our weekly office refreshes, event and corporate flowers as we know they bring a smile to everyone who sees them. 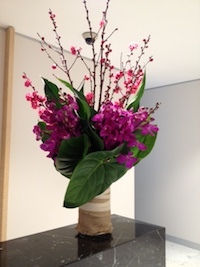 We carefully construct each arrangement to embrace the freshest, seasonal blooms and greenery available to create striking talking points for our corporate clients. 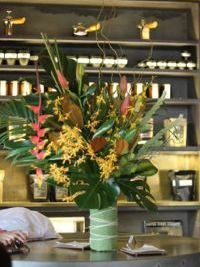 The allure of a stunning bouquet or corporate floral arrangement in a business environment provides a freshness and beauty that’s hard to replicate with other design features. 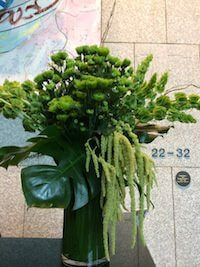 We can refresh them with our weekly flower delivery service to keep them looking their best for you. Like to celebrate your employees’ milestones with something memorable and different? We’re on hand to create and deliver exquisite bouquets to mark birthdays, new babies, promotions and retirements. Or for something distinctive, why not send a bouquet with your proposal to help get noticed by the new client you’re hoping to sign? 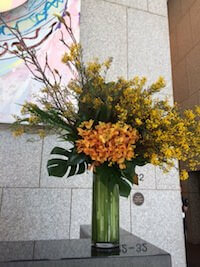 Do you need flowers for corporate or client events? 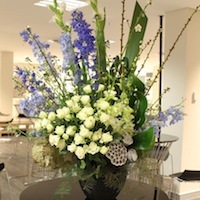 There’s no better way to dazzle your guests than with bespoke event flowers. We can discuss your individual requirements by phone, email or at our Lane Cove boutique. 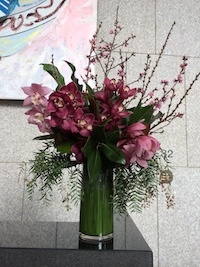 After an initial consultation, we’ll be able to create unique and stunning floral arrangements for your event or boardroom. 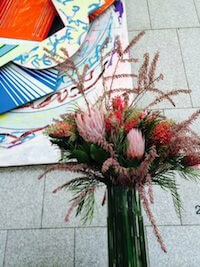 Let’s start chatting about what type of corporate flowers you’d like. Please get in touch and we’ll get back to you ASAP. We are happy to arrange a free consultation!